"Why can't I charge phone after iOS 12 update? I just updated my iPhone 6 to iOS12 and now cannot charge my phone either by plugging it into electrical outlet or Mac laptop using either of two cables, one of which was working just this morning. Help!!" "Anyone else now have charging issues after iOS 12.2 update? My iPhone can no longer charge wireless and my wired charging is super slow and actually drains instead of charging." Some users from Apple Communities reported that their iPhone XS/XS Mas/XR/X/8/7/6S/6 won't charge after iOS 12.2/12.1/12 update. An iOS update will bring you many new features but also will cause some unexpected update problems. iPhone charging issues seem to be along with every iOS update. In this article we will discuss why iPhone can't charge or charge slow after iOS 12 update and how to fix it efficiently. Why I Can't Charge iPhone after iOS 12/12.1/12.2 Update? There are many reasons that may cause your iPhone not charge properly. Here I list the main causes for iPhone charging issues after iOS 12 update. The new iOS update could cause certain alterations that make the iPhone not to charge or even turn on. If you use the 3rd-party USB power adapter or cables, although it works well before the update, it will also cause iPhone charging issues after iOS 12 update. If your iPhone stopped charging at 80%, that's due to software that may limit charging above that amount to extend battery life and keep your device from overheating during charging. Your iPhone may get too hot after update. What you need to do is trying charging it in a cooler location or removing it from its case while it charges. One of the most common reasons why an iPhone won't charge comes from low-quality 3rd-party iPhone charger cables. So make sure you use the USB power adapter and USB cable that come with it. A force restart (hard reset) can easily solve iPhone charging problem related to software issue like software crash, software conflict. Follow steps below to force restart your iPhone and solve the charging issues. 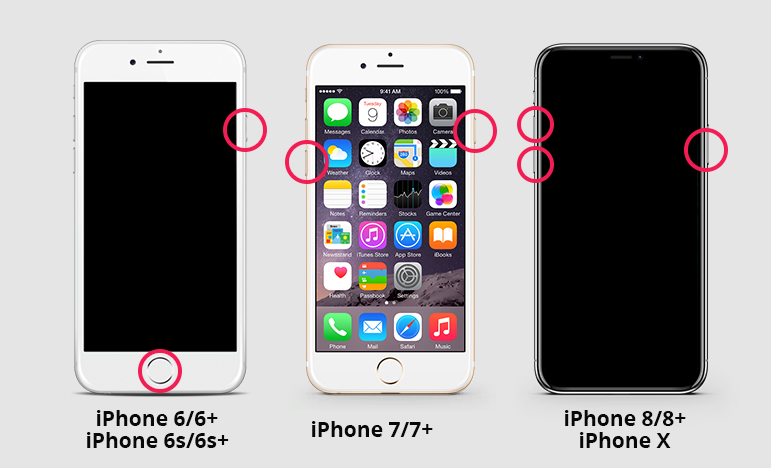 Press and hold the power button and the Home button together until the Apple logo appears on the screen. 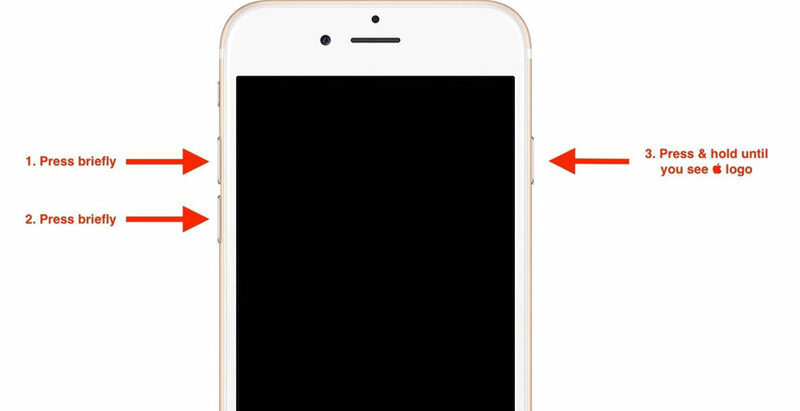 Press and hold the power button and the volume down button together until the Apple logo appears on the screen. Some apps installed on your iPhone may be battery draining after iOS update and cause iPhone not charging properly. Go to the Settings > Battery > Battery Usage and see if there is battery draining app on your iPhone. If there is, just uninstall it. If your iPhone X/8/8 Plus won't charge wirelessly after iOS 12 Update, try to charge it using a wall adapter. If your iPhone won't charge using a wall adapter, try to plug the cable into the USB port on your computer and see if it will charge. If your iPhone won't charge when plugge in, try to charge it with the wall adapter. In a word, switch between those methods and see if it makes a difference. If your iPhone still cannot charge after trying the easy fixes. You can restore your iPhone to factory settings with iTunes. Before restoring in iTunes, please backup your iPhone first. Step 1: Run iTunes and connect your iPhone to that computer. Step 2: When your device appears in iTunes, select it and than click Restore iPhone in the Summary panel. Step 3: iTunes will start to restore your iPhone and install the latest version of iOS. After that, you can restore your iPhone from your backup file or set your iPhone as a new device and charge your iPhone again. If none of the solution fixes iPhone won't turn on or charge in iOS 12, it is time to use iOS system recovery software to recover iOS without data loss. 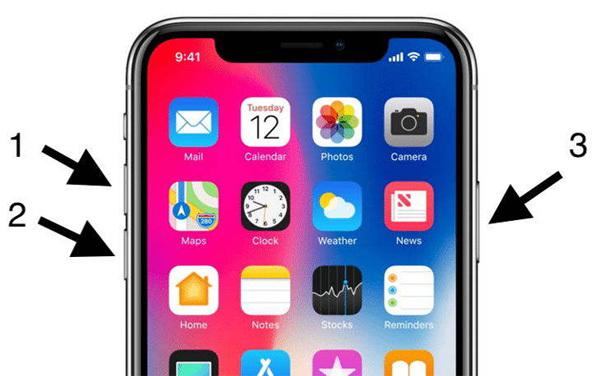 Tenorshare ReiBoot is a professional iOS 12 system recovery tool that can fix all iOS 12/12.1/12.2 problems like won't turn on or charge, recovery mode stuck, Apple logo stuck, DFU mode stuck, etc. Step 1: Download and install Tenorshare ReiBoot on your computer. Run the app on your computer and connect your iPhone to your computer with an USB cable. Step 2: After ReiBoot detects your iPhone, tap "Fix Now" option. Doing this will put your device in Recovery Mode. Step 4: After the firmware is downloaded, click on the "Start Repair" button to begin the System Recovery. After the repair, your iPhone will automatically restarts and your iPhone should be charging properly without any issue. That's why and how to fix iPhone is not charging in iOS 12.2/12.1/12. We hope our solutions would help you solve your problem. And remember that no matter what iOS 12 update issues you have, Tenorshare ReiBoot will do a great favor to solve your problems.